A friend of mine decided to build one of those Raspberry Pi based arcade consoles. That got me thinking. 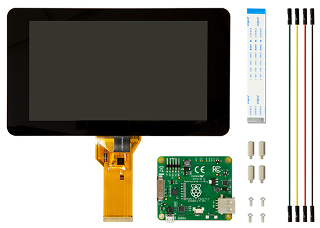 I had a Pi 2 and Touchscreen that never got used for anything so maybe I'll do the same. Haven't had much time for gadgets, let alone building a custom case. Luckily, I stumbled across the SmartiPi Touch Case. Very happy with this housing. 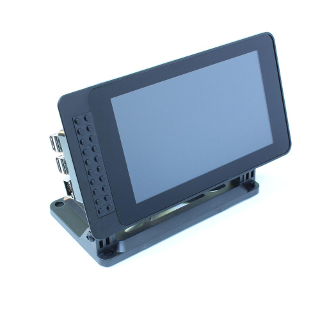 Obviously it supports the official Raspberry Pi Touchscreen, along with any version of the Pi, and has access for riser boards. Pegs on the front and back allow for even further expansion, or just Lego fun. After a few minutes of setup I was all ready to go and installed RetroPi for classic gaming fun. So a friend built a very nice barn last year, and has been struggling with low wireless signal. Upon investigation I realized he used metal siding and roofing. Well of course there is no signal, its a huge faraday cage. 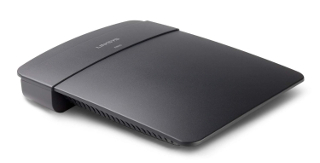 We ran a network cable from the home router out to the barn, and then I used the Linksys E1200 as a secondary access point. This was VERY easy to setup. Picking bridge mode from the setup screen and assigning an IP from the home router subnet was all it took. After that I configured the wireless to match the house and he was up and running. The unit itself isn't anything special, but for this use you can't beat it. Over holiday break a friend bought some AMX automation equipment and needed help learning how to program it. I picked up an ASUS T100 a while back to be my carry around tablet with a keyboard for just such tasks. Except for using it to test some HDMI connections this was the first time I tried to program with it ... and the last. Woot has daily sales that I keep an eye on. 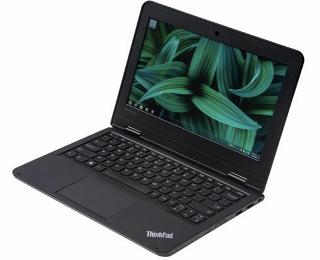 Last week they listed a Lenovo Thinkpad 11E on sale for 65% off retail. Too good a deal to pass up. 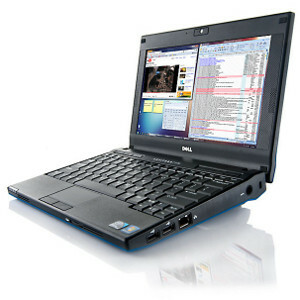 This is a rugged laptop marketed at students that has passed military specification for durability. 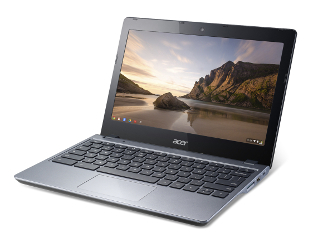 It delivers as advertised shipping with a N2940 quad core CPU, 4gig ram (8gig max), and 128gig SSD. I agree with other reviews that the 11.6" screen is a little lack luster, but ok for the price I got it. It also comes with Windows 10 Pro and very little bloatware. So after the usual hour of updates things were up and running pretty quick. Being a Thinkpad I was a little disappointed at first it didn't have a trackpoint, but the touchpad is large and works well so I shouldn't miss it. Also having owned other Thinkpads I was looking forward to using their legendary keyboards again. The chicklet style keyboard on the 11e is not what I was expecting, but also turns out to be very good. Everyone I've shown this to is impressed with the quality. I've done a little work on it today and am happy with the unit. As for the poor T100, you will be listed for sale soon. 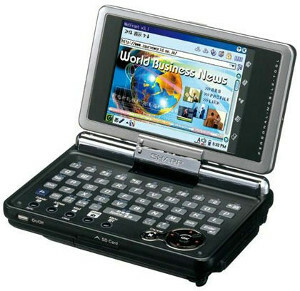 My Sharp Zaurus SL-C3100 is arguably the best gadget I ever purchased. You can look up the history here if interested as it was a device far ahead of its time. Every so often I bust the Z back out because someone has done something amazing that I need to try. I keep in touch with a handful of users from "the old days". It was about nine months ago I helped compile apps on my Z for OpenBSD 5.6 beta. One person from that group shot me an email saying there was an attempt at getting ArchLinux running and I needed to be in on it. I am a huge fan of ArchLinuxARM on my pogo plugs, so I jumped on the forums to see how things were going. Ends up a user named danboid had complete install instructions ready to go. An hour later I had a working ArchLinuxARM system running on my Z, including network card. I can't explain how great it is to have a current OS running on 10 year old hardware. Continued development is ongoing as device specific issues are now being addressed to hopefully get more graphical software functional. This is something a little off the wall but I was so impressed with the results a short review is in order. I do a lot of video conferencing. I have been putting standard definition Osprey video capture cards in PC's to allow the use of higher quality cameras and/or other video devices. While upgrading to HD PTZ cameras I found out that a lot of applications will not support HD capture from anything other than webcams. After trying many expensive HD capture cards, I was about to give up when I noticed good reviews for this device. 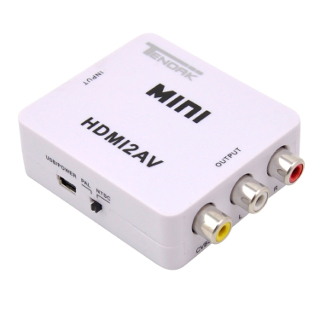 Tendak HDMI2AV converter promised to let me plug in my HD source on one side and output composite video on the other for $20. No way was this going to work, but I purchased one to try anyway and guess what? It's darn near perfect. Some reviews did mention the devices dying after a few weeks of use, so I have it doing a 12 hour burn in as I type this, but so far things work as advertised. This was talked about on episode 114 of Linuxinstall.net podcast. I use my iPad Mini Retina daily, its the perfect “always with me” companion device. One issue I run into is the on screen keyboard takes so much room when working on anything more than typing out a URL. I wasn’t about to carry around a huge bluetooth keyboard/case, let alone pay what most cost. Last week Amazon had a sale on the Logitech Ultrathin Keyboard Cover at 75% off, which was in my impulse purchase range. I am very pleased. 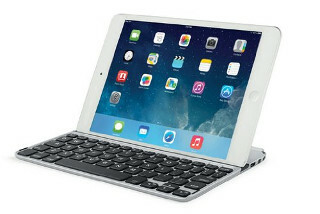 The keyboard is almost the same size as the iPad Mini, and just a tad lighter. Logitech claims 3 weeks at 2 hours a day battery life, with USB charging. The iPad Mini docked angle works great on a table but is a little too vertical for other positions. I have been using Server Auditor as my SSH client. It has a ‘pro’ version, but the free app works very well, displaying even my fancy prompt with ease. Terminal work is so much easier now without the on screen keyboard taking up half the display. I hope note taking at meetings will benefit as well. I had my eye on this little baby for over 5 months. A colleague used an earlier model to trouble shoot some network issues and I fell in love. It will be mine. Oh yes. It will be mine. My go-to portable has been a Dell Mini 9 since Christmas of 2008. The low resolution screen, ageing graphics, and slow processor have started to limit usability. Now the 2120 isn’t a speed demon, but it does sport a high resolution touch screen, updated graphics, and double my processing power. All it took was a 35% off coupon to seal the deal. It shipped with Windows 7 Professional which surprisingly runs pretty well, but I’ll probably load Kubuntu LTS on it. I got a deal on a 64gig SSD the same week so an upgrade is in order. I also found out it will accept my Broadcom HD Video Accelerator. Lastly, the geniuses at Dell Repair managed to screw the keyboard through the power line. Parts are pretty easy to get so for $3 I’ll have that fixed too. Even though it is half a pound heavier, I think it will make a nice new portable for me. Now to find the perfect bag to carry it in!